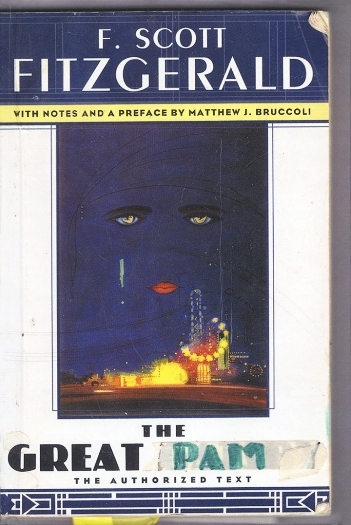 At first glance, The Great Pam looks like any other well-worn paperback. 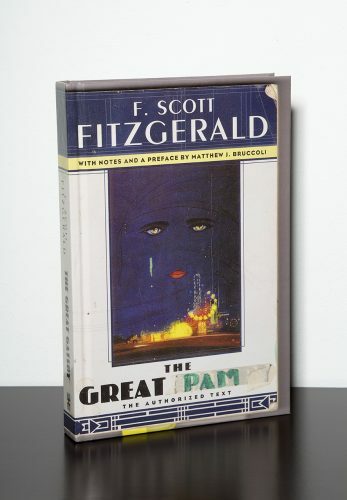 But on closer inspection, the tome is clearly a hardcover facsimile of an old Gatsby, with the telltale image of a piece of masking tape bearing the word pam on its wrinkled surface – transforming the name of the titular character into that of Baga’s sister. 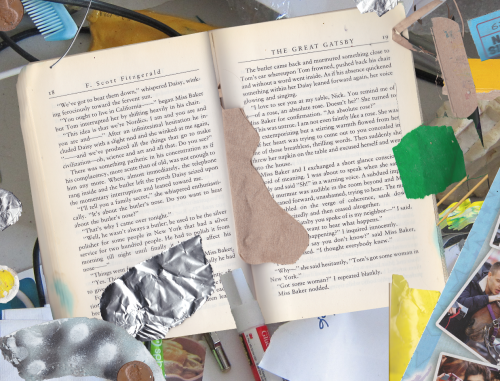 The Great Pam reproduces, from front to back-although not always to scale – Scribner’s 1995 ten-dollar edition of the novel, found in high school classrooms nationwide. 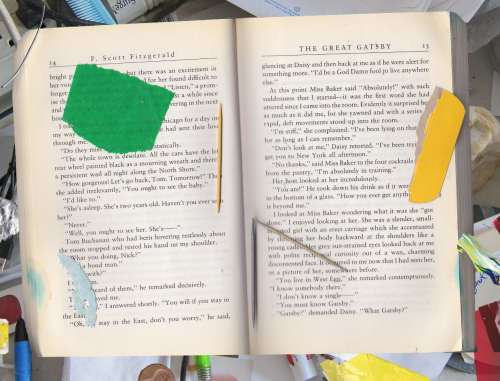 The artist’s manipulations appear minimal at first and recall the damage that schoolbooks endure shoved to the bottom of backpacks or lockers. 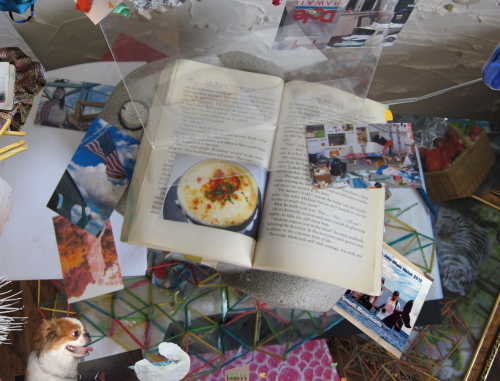 The edges of the pages are stained, as if from an errant leaky pen, and bits of paper, rubber bands, and gum wrappers drift over and past the familiar text.